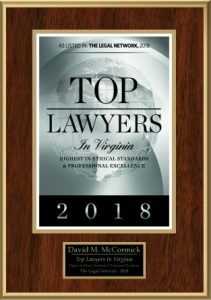 As you may know McCormick Divorce and Family Law has offices in Virginia Beach at 780 Lynnhaven Parkway, Suite 400, Chesapeake at 1545 Crossways Blvd. Suite 250 and Newport News at 11815 Fountain Way # 300. Recently, we have added a new office located at 1769 Jamestown Road. This adds to our excellent family law coverage for Hampton Roads. You can schedule an appointment at any one of our offices by calling 757-663-4630. By calling today you can secure a free consultation with one of the areas most recognized family law attorneys. Although we offer great features such as no hourly billing, military discounts, a BBB A+ rating and easy payment plans, the best reason to meet with us is our superb track record and experience in family law. Put our expertise to work for you today.